Most marketing collaterals, email signatures, and digital communications contain the homepage URL. A significant percentage of the total backlinks of the website are pointing to the homepage. Most user sessions on the website start at the homepage. For these reasons, it is important to ensure your homepage is designed and written well. 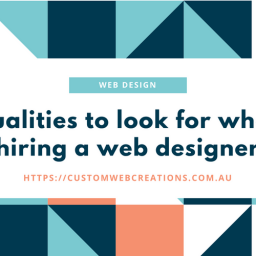 Also, ensure it contains all the elements that are necessary to provide fantastic user experience while contributing effectively to your business goals. To understand the same, we will be using the example of RankWatch’s homepage. To give a background, RankWatch is an AI powered SEO tool that is used by some of the big names such as RedBus, CNN News 18, and AdGlobal 360, among many others. 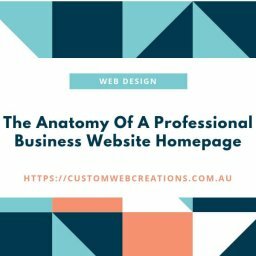 The part of your homepage that is first visible when the page is loaded (without scrolling down) is known as the part that is “above the fold”. Since it is the first part of the page that the user encounters, it is extremely important to get this part right. The RankWatch logo, with its top left position, does not take up too much of the attention. The green coloured buttons and the colour of the text on the rest of the page work great to reinforce the RanWatch branding, while keeping the users’ attention fixated on their main offer. The homepage of a website should act as a point of reference for lost visitors on a website. Keeping that in mind, having a navigation menu on the homepage becomes critical to a good user experience on the home page. Once again, the navigation menu shouldn’t take up too much of the users’ attention but should be placed where it is easily spotted when needed. While your business may have a number of offerings on the product/services page, the homepage needs to focus on your most immediate business objective. In the case of RankWatch, the primary focus is to get visitors to sign up for their free trial. Having visual elements on your homepage not only helps with ranking but also makes the user experience better. While a video may do wonders for some, it is not always the best idea. In many cases, the sound of an auto-playing video may put off the user. RankWatch solves this problem with the use of original graphics. The graphic here, adds to the aesthetics of the website, while still reinforcing their branding, and highlighting their primary offer. If the user decides to investigate below the fold, you have their interest. This is where you make sure you present your offering as the perfect solution to their problem. Trust signals are an integral part of any business website homepage. They reassert the brand’s credibility and as the name suggests, communicate trust to the user. Social proof is telling the user how many other people are using the product. This can be done by simply mentioning the number of signups you have. By mentioning other big names that use their products, RankWatch has successfully built trust and social proof. Outlining the features and benefits of your offering will assure the user that you are offering the best solution to their problem. If you target your marketing well, one or more of these benefits will align directly with the customers’ unique needs. A Call To Action (CTA) button will, as the name suggests, will tell the user about the exact action you want them to perform. In the case of RankWatch, the CTA button says “Start Your 14 Day Free Trial Now”. When designing your CTA, try to get creative. For instance, instead of saying “Sign up to our email list” try something like “Send me awesome [subject] emails”. When you visit the RankWatch website, you will find that they have a long form homepage that uses these elements multiple times. This way, they are able to communicate the same brand messages in different ways to make sure that by the end, the visitor clearly understands their product, and how it has performed in the real world. In the end, the customer testimonials further add credibility to the claims they have made on the rest of the page. After all, there is no point in saying you have 20,000 satisfied customers if you can’t present a few willing to vouch for you. A perfect website homepage has a lot in common with a conversion funnel. First, it needs to capture the interest of the visitor. Next, it needs to establish your business as a trustworthy entity, while presenting it as a solution. It needs to have creative and succinct CTAs to direct the user to perform the desired action. Finally, it needs to reassure the claims you have made about your business with real social proof. However, since it is not a landing page, there are user experience elements that you cannot miss. The navigation menu and branding elements (logo, colours, design scheme) are just as important as the elements that are selling your business offering.